At last it appears that our long-delayed spring may be about to appear – and not before time as far as I’m concerned. AT last it appears that our long-delayed spring may be about to appear – and not before time as far as I’m concerned. My brother and I are still waiting to get our cabin cruiser, Terra Nova, back in the water but with the Thames running so fast because of all the rain and many of the locks still showing warning red boards, there was no point in trying to re-launch her after her refit and clean. Hopefully a spell of dry bright weather will bring the levels down and allow us to get the old girl back in the water. But I hope the river settles down for another reason – to help the lovely people at Staines Sailing Club to get a grand turnout at their forthcoming Sail for Gold ‘Have a Go’ day. Staines SC always offers this free day every year, but with the added attraction of the Olympic sailing down in Weymouth later this year, there will hopefully be even more interest than usual. The ‘Have a Go’ event is designed to offer people the chance to experience the thrill of sailing free of charge and with no commitment to join the club – although I can heartily recommend it as one of the friendliest clubs on the river. Club secretary Joyce Threadgill said: “Whether you want to get back into the sport or simply try something new with the family, we are delighted to welcome people of all ages and abilities. From 11am on Saturday, May 26 the club will be offering free sample sailing sessions under the guidance of experienced instructors and a chance to view the club’s facilities and to enjoy lunch or refreshments beside the river. All you need to do is to bring along a change of clothing and suitable footwear. Buoyancy aids will be provided. At the risk of being boring and repeating myself, I’ve often said in this column that, in my view, sailing is the most fun you can have with your clothes on! Go along, give it a try and I shall be very surprised if you don’t quickly get hooked. There is nothing quite as thrilling as finding yourself able to harness the wind and to speed along in a racing dinghy. 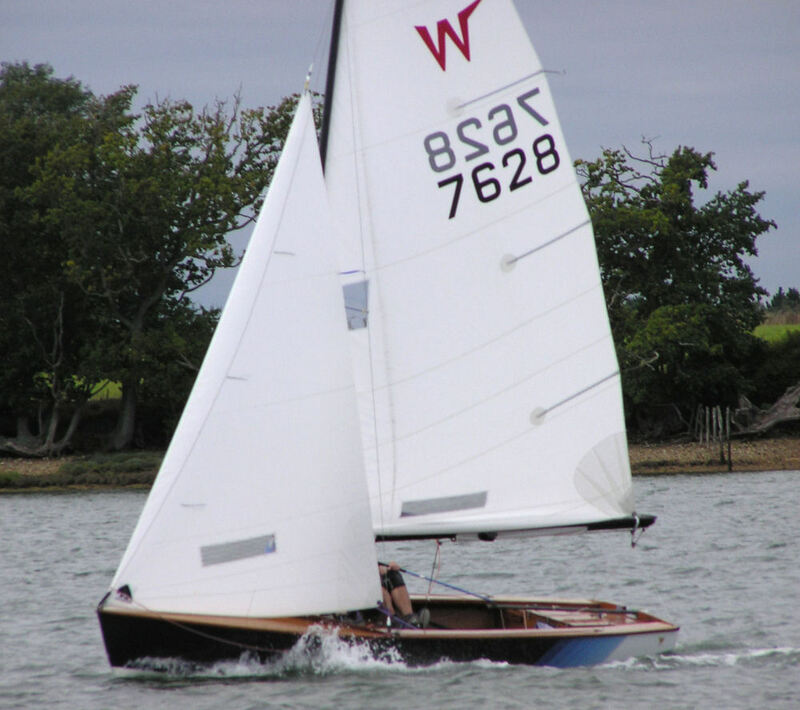 The boats in use for the Have a Go day will be Wayfarers – big stable boats capable of seating all the family but lively enough in a bit of a breeze. Staines Sailing Club can be found at 105 Chertsey Lane in Staines on the A320 half a mile north of Thorpe Park and near Mayfield Gardens. For more information, contact the club by phone on 01784 451704 or email info@stainessc.org.uk.